The Design Team for Gina K Designs welcomes you to another fabulous Inspiration Blog Hop! Gina and the Design Team will inspire you with many beautiful ideas and as you hop through their blogs, make sure to leave a comment on each of them because we will choose a few random comments and those stampers will each win a grab bag of Gina K Designs products! To see the full list of winners, check the Big News Forum at StampTV a few days after the hops. Oh.My.Goodness. This is absolutely the BEST white ink I've ever used! Look at the beautiful detail and opaqueness on Black Onyx cardstock ... I'm in love! I scattered rhinestones in the "sky" for stars, aong with a few punched white cardstock stars, and tried to make it look like the large sheep (free hand cut) is counting sheep to get to sleep! Evidently his dreams are keeping him wide awake, LOL! His head is popped up on Copic Foam Tape and I used wiggle/google eyes. Look closely at the Ivory card base background -- it is stamped with same Cheers starbursts/snowflakes with Gina's new Ivory pigment ink ... swoon! I added the number 2 (from Tami Mayberry's Simple Numbers set), so this card could be used as a wedding, wedding shower, or thank you card. The two die cut circles (Black Onyx & Cherry Red cardstock) are popped up on foam tape. Be sure to check out all the amazing designs and inspiration from these Gina K designers participating in today’s hop and leave comments on all of them, for your best chance at winning! 2013 Advent Calendar Tags 1, 11, & 15-17 can be found HERE. 2013 Advent Calendar Tags 18-25 can be found HERE. Today’s featured stamp set is the brand new holiday StampTV Kit -- Season's Greetings! These beautiful holiday stamps were the perfect opportunity to add to my 2013 Advent tags, so here they are! (Click on any photo for a larger view. Details about all tags are at the bottom of this post). 1 - Santa (Season's Greetings) is getting ready for the holiday season, decorating his tree (Cheers Mini Set)! His ornament was cut out, glittered, and popped up on foam tape. The mini sentiment is also from the Cheers set. 15 - Look how beautifully these solid mug images stamp out with Gina's Color Companions Ink pad (Cherry Red)! Love the font in this gorgeous sentiment! 16 - Another beautiful sentiment from the kit, along with the separate fabulous kit ornament that I just stamped together! 17 - I love that this pretty deer has Christmas words etched into him! 11 - The big, beautiful snowflake-like frame makes a perfect photo frame or ornament! The inside measures right at 2 inches, absolutely perfect for a 2x3 wallet sized (school) photo! The outside of the frame measures just under 3-1/2 inches (a 3-1/2 inch die cut it out perfectly). I made this tag number coordinate with my youngest daughter's age. Her sister's school photos still haven't come in yet (and my printer was giving me fits last night! ), so her #14 tag is ready and waiting for the photo to come home! Details for all tags: Tami Mayberry's Simple Numbers stamp set was used for the numbers and the stitched line at the bottom of each Ivory Heavy Base Weight Pure Luxury Cardstock tag, stamped with Cherry Red Color Companions Ink. The tags are hand cut 5.50" tall x a little over 2.75" wide, yielding six tags per 8.50" x 11" piece of cardstock. The bottoms were trimmed with scalloped scissors and hole reinforcers were made from Cherry Red Pure Luxury Cardstock using 1/4 and 1/2-inch cirlce punches. Snowflakes were punched from Ivory Layering Weight Pure Luxury Cardstock and the centers accented with Mini Glue Dots and glitter. Each tag is finished with Red Hot Double Stitched Color Companions Ribbon. Advent Calendar Tags 18-25 can be found HERE. And yes (as some of you have asked), I will show the complete Advent calendar as soon as it is finished! :) The tags will be hung on the same red frame I made for last year's calendar, which can be seen HERE. Thanks for stopping by ... I'll be back again tomorrow for another inspiration hop! Cooler weather has finally made it down to the U.S. Gulf Coast, so it inspired me to do a little scrapbooking! 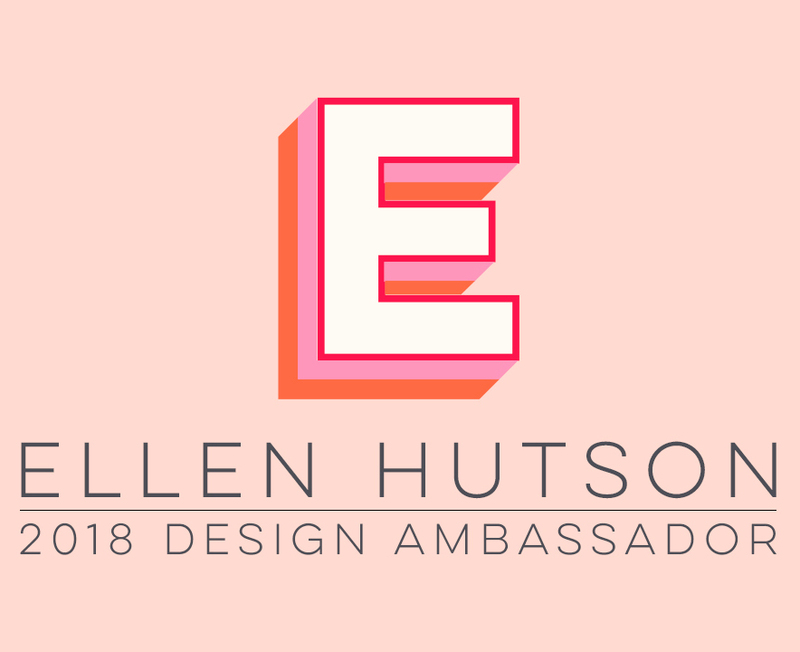 I hope you'll join me today over in Ellen Hutson's the CLASSroom for all the details on how I made this page, with a lot of great products! I hope your weekend is filled with sunshine ... I know mine will be, with these sweet smiling faces! Happy World Card Making Day, Friends! I hope you'll join in World Card Making Day today and have some fun creating! Over in Ellen Hutson's the CLASSroom today, I'm showing you how easy it is to create a fun Fall shaker card . . . I hope you'll join me there! And please be sure to read this Sending Our Love post Ellen has, just below my project -- if you would like to have a great purpose to your cardmaking today! I hope you'll join in the fun this week -- there's a prize up for grabs! You can find out more about the challenge here.